Sid Meier’s Civilization VI is a great new take on the long-running strategy series, but it’s still very much a work in progress. The game has received a number of tweaks since launching late last year, and series developer Firaxis has announced another major update is coming soon. The Civilization VI Fall 2017 Update largely focuses on improving Religion. 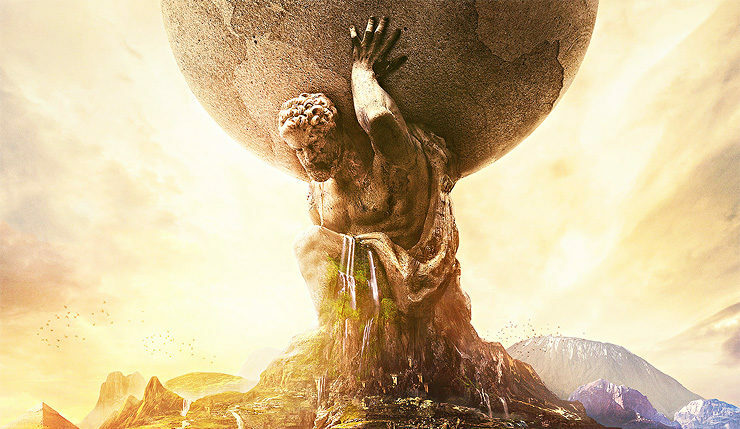 Civ VI greatly expanded Religion, allowing players to craft their own system of beliefs and engage in holy wars, but some players felt even more depth was in order. Well, it sounds like Firaxis is going to deliver. Religion gets fleshed out with new beliefs and religious units. Two new Pantheons will be get introduced into the game, along with new Founder, Follower, Enhancer, and Worship Beliefs. These beliefs unlock the ability to build two new buildings as well as a new combat unit, the Warrior Monk. The Religion Lens has also been overhauled to improve overall usability and readability. You’ll also find new UI touches, such as religion indicators on unit flags, to remove all guesswork on where a unit’s allegiance lies. We heard your requests for a deeper overall experience, and took that to heart with revamped religious combat. Religious units can now exert Zone of Control and receive Flank and Support bonuses in religious combat. Meanwhile, the Guru religious support unit can heal nearby religious units. The Fall Update also brings a variety of adjustments and balance changes other parts of Civilization VI. Menus will be made easier to navigate, naval warfare AI is being amped up, and, perhaps most importantly, the barrage of useless, repetitive “gossip” messages about other civilizations will be reduced. Thank God. Firaxis hasn’t provided a specific release date for the Civilization VI Fall Update, but expect it to arrive sometime soon. Our review makes it clear that the game is well worth it already, though.